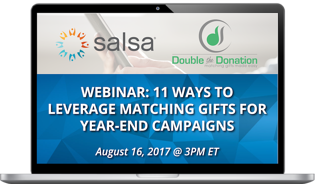 11 tactical ways you can promote your matching gift strategy in your marketing and communications. What successful nonprofits are doing to grab untapped corporate matching gift program dollars. The logistal steps you need to take to roll out a matching gifts strategy AHEAD of #GivingTuesday and #YearEndFundraising.